← A Bauhaus education for the 21st century? 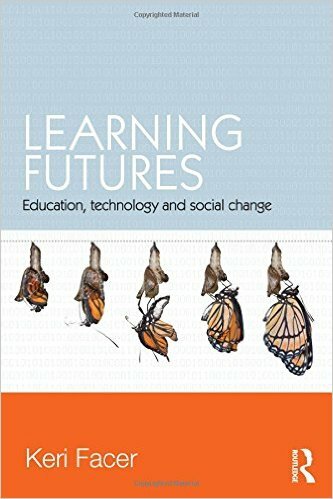 In her brilliant book Learning Futures – Education, technology and social change (2011) Professor Keri Facer suggests that we should be creating what she calls future-building schools rather than future-proof schools based on equipping young people to compete in the global economy. Simply preparing our students for an uncertain future by helping them to be flexible and adaptable is not an adequate response to the social change we are experiencing. We need a vision of a better alternative future and schools, as universal public services, can be ‘prefigurative spaces’ where people can model today how they might want to live tomorrow. The future-building school takes seriously its responsibility to equip its students for the future by contributing to a debate about the futures that are in development and those we might want and allowing people to rethink their assumptions about what is possible. Keri Facer devotes a whole chapter to an account of a visit to a possible future-building school in 2035. I always enjoy such fleshed-out practical descriptions of the future – they have something in common with utopian, and dystopian, fiction. They are thought experiments which shouldn’t be treated as detailed blueprints or prescriptions although they do require their creators to nail some human colours to their theoretical framework. They remind us that history has not ended and that the basis of our current way of doing things is not permanent; things do change, things can be different and maybe even better. Keri Facer describes this chapter (chapter 8) as a utopian vision and offers it as a resource and a tool for opening up the possibilities of the future-building school. What might it feel like? How might it be arranged? What sort of teaching and learning might be going on? What difficulties might it face? This is a ‘plausible utopia’ built from ‘educated optimism’ about how we could respond to the socio-technical developments, environmental challenges and economic disruptions of the near future. It is well worth reading the whole book but if you only have time for 15 pages, chapter 8 cannot fail to inspire and you can read it for yourself here (from p.109). At a time when austerity threatens our imagination as well as our public services, we need a broad and expansive social vision of education more than ever. It serves as a useful starting point for further discussion and debate about the better future we could build. I plan to review Learning Futures properly in a future post and also to start anthologising different visions of the future of education in this blog. This entry was posted in Education, Education Futures, Reviews and tagged citizenship education, community education, Democracy, Education, future, future-building school, Keri Facer, Learning Futures, schools, Solidarity. Bookmark the permalink.